IIA recently released three new infographics. The first highlights 5G Small Cells, the tiny transmitter receivers that enable vast amounts of data to be sent over millimeter waves with fifth-generation wireless technology. Another infographic, The Real Story of the Open Internet, provides a timeline of important events relating to net neutrality from 1996-2019. The third infographic on Online Consumer Privacy outlines a way forward for Congressional legislation on the issue. Feel free to print or download, post and share! If you missed the event, you can learn more on IIA’s event page and view Twitter coverage under the #BipartisanAgain hashtag. 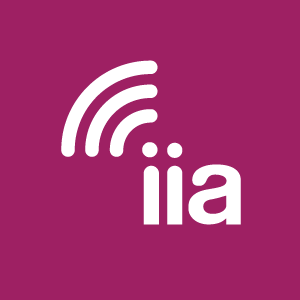 IIA strongly…disagrees with the ‘back-to-the-future’ legislation announced by some members of Congress this morning, that common carrier rules first adopted for the era of monopoly telephones should be applied to the Internet. For over 20 years, including in the past year, the broadband internet has been regulated in a bipartisan consensus according to the light-touch rules first adopted during the Clinton Administration. Those rules helped the internet grow exponentially. Read IIA Co-Chair Kim Keenan’s op-ed, “Congress Needs to Raise the Curtain on Data Use with Straightforward Privacy Rules,” published by Wireless Week (ECN) on March 5. Keenan believes that there should be a single standard by which to protect consumer privacy, regardless of where or how the internet is used. Consumers should be able to choose where, how, and with whom they share their data. The time is ripe to develop comprehensive, uniform data privacy legislation, she urges. IIA Co-Chair Bruce Mehlman authored an op-ed, “It’s Fitting that Congress is Focused on Accelerating Our 5G Future,” published by Broadband Breakfast on February 27. In his piece, Mehlman says that the U.S. should be the global leader in the race to 5G, and that Congress can help by passing the AIRWAVES Act, a bipartisan bill introduced in the last Congress, which would establish a schedule for future spectrum auctions over the next five years to help ensure U.S. preeminence in 5G. Rick Boucher, IIA’s Honorary Chairman, had an op-ed piece published by Multichannel News on February 11, “Privacy Can Bridge D.C’s Partisan Gap.” Boucher emphasizes that we must do something to protect Americans’ personal data from abuses, and that the time is right for Congress to approve a privacy bill that will protect consumers’ data and apply across the internet continuum. Selected news, writings, and studies from the month of January.